All kids love bunnies, especially when Spring is coming, which means Easter is driving near. I have a wide collection of bunny crafts, and I do recommend the Sock Bunny Projects Round Up that you can recycle those odd socks that your kids love. And another fabulous collection of Crochet Easter Bunny Projects Free Pattern. 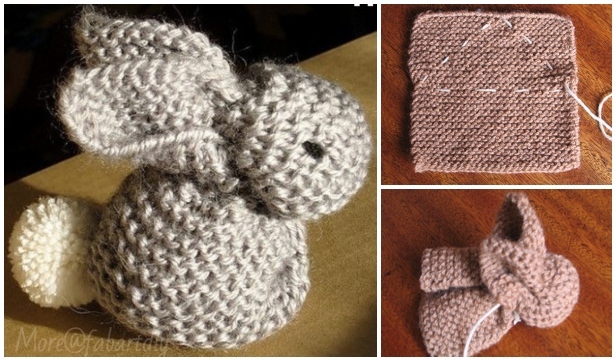 You will love this way to make knitted bunny from a knit (or crochet) square, and even any square towel or fabric. It makes it super easy by threading the square with a triangle and pull the thread after filling the center with poly fill. The bunny is adorable that you can use crochet square to make it fancier, perfect for kids toy delivery or home decoration. Have Fun! 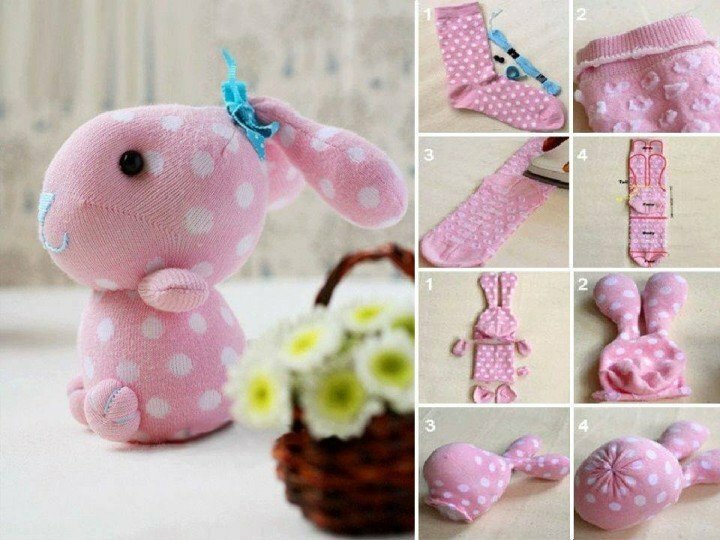 It’s really one of the easiest sewing projects to make the bunny softies as unique gifts for all your family and friends!